Clients’ expectations of how long their color lasts can be skewed, but Elgon’s Color Fix line seeks to lengthen the lifespan of haircolor and slow fading. The Scalp Cleanser, Shampoo and Mask purify, cleanse and lowers pH, and acts as an antioxidant, respectively. 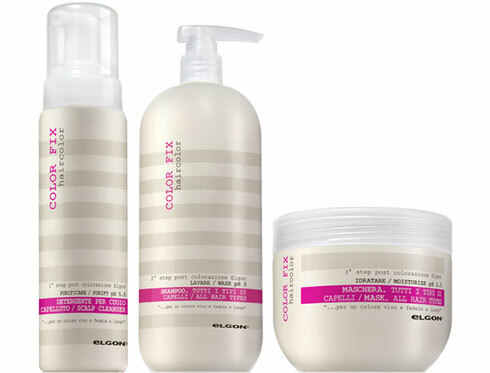 Used together, the Color Fix collection restores the natural pH of the scalp and hair, and seals the cuticle for glossy, color-intense hair.